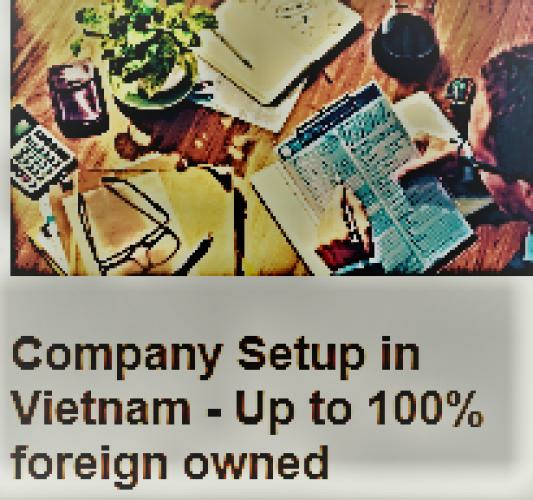 ☑ Discover the service of set-up a 100-foreign-owned company in Vietnam from Experts at Vietnam LLC setup ► Set up a wholly foreign-owned entity, joint venture, public limited company, branch or representative office ☏ +02822446739 or email: all@lhdfirm.com. SETTING UP FOREIGN COMPANY IN VIETNAM. When an individual or company (LLc or Jsc foreign) want to invest abroad and Setting up a foreign company in Vietnam, they have a choice of locations in Hanoi, Ho Chi Minh City or Danang (for trading) and Dongnai, Binhduong, Vinhphuc (for manufactory), and the type of Company Ltd. or JSC company, same investors as a Vietnam. Transactional structuring: advising on the possibility for foreign investors to obtain an investment license in Vietnam and the selection of an appropriate investment vehicle in Vietnam such as a business co-operation contract, a joint venture company or to set up a company in Vietnam as a wholly foreign-owned company. Licensing requirements: drafting and negotiating all documents required for obtaining an investment license for a foreign-invested project, following up Vietnamese authorities for obtaining the investment license and assisting to complete all post-licensing procedures. Regulatory issues: advising on regulatory issues in relation to the operation of foreign-invested projects in Vietnam including advertising and promotion of their products. Please contact us for inquiries through email all@lhdfirm.com or call our partner directly at +84907996249. the multiple-member limited liability company (2-50 members). The main advantage of the limited liability company is that it does not impose a minimum share capital upon incorporation. The joint stock company is the correspondent of the public companies in European countries, however, it does not imply a minimum share capital, just like in the case of the limited liability company. The Vietnamese joint stock company must have its capital divided into shares and at least 3 shareholders. These are the last two types of companies which can be established in Vietnam. While the partnership must have at least two members who will act as partners in the company, the private enterprise is similar to the sole trader in other states. Our Vietnam company registration agents can assist investors who want to set up any of the types of structures above. # the Build-Operate-Transfer (BOT), the Build-Transfer (BT), the Build-Transfer-Operate (BTO), the Build-Operate (BO) agreements. Foreign investors who want to establish companies in Vietnam are required to prepare a set of documents and file them with the Business Registration Office. The most important ones are the Memorandum and Articles of Association which must be drafted before a public notary. Following that, the business owner must have a company seal made. an announcement about the registration of the company which must be published three times in the row in a local newspaper. These documents must be filed with the Business Registration Office, following which the company must open the bank account, register with the tax authorities and apply for the licenses which will allow the business to carry out its activities. Vietnam became the 150th member of the World Trade Organisation (WHO) in 2007. This opened the door for foreigners to invest and operate businesses in Vietnam. Individuals and organizations are allowed to choose their area of investment, the structure of their business and the method by which capital is raised, as long as their choices are in compliance with Vietnamese law, international treaties, and commitments. Opening a foreign-owned business in Vietnam is possible and even encouraged by the Vietnamese government, although the laws are complex and the process can be complicated. 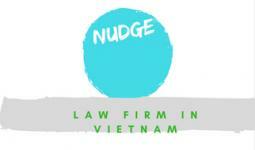 A modern business law is in its infancy in Vietnam. Laws and regulations may be incomplete, ambiguous and subject to conflicting interpretations by different government agencies. Having the help of an experienced and well-connected Vietnamese law firm is highly recommended. Foreigners are permitted to own and operate their own businesses in Vietnam, either through indirect or direct foreign investment. 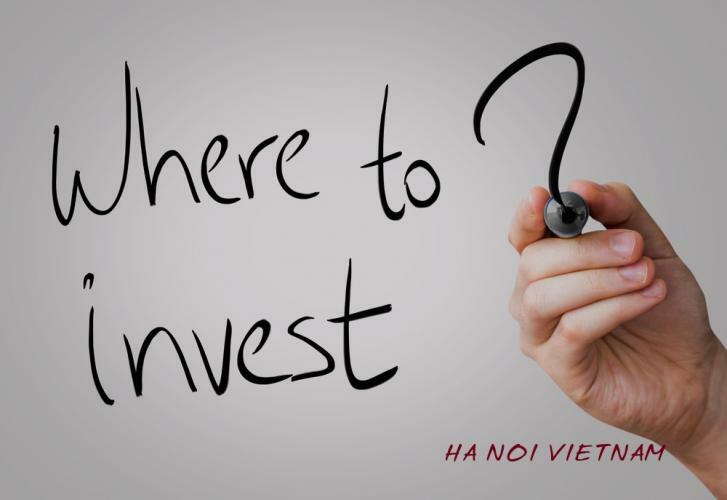 Indirect investment can be made by individuals or organizations that can buy shares in Vietnamese firms or invest in stocks, investment funds or use other intermediate financial instruments. Businesses that are wholly foreign-owned or are participating in joint ventures with a Vietnamese business are considered to be direct foreign investments. - The business has the approval of the competent authorities in Vietnam. - Investment capital must be sufficient to ensure the feasibility to implement business projects in Vietnam. At the moment, Vietnam has no commitment to market access for appliance maintenance services. This means the competent authorities of Vietnam has no obligation to open the door for foreign investors to participate in providing this kind of service in Vietnam. - The registered capital of USD 50,000 or more. - The registered capital of USD 100,000 or more. - It is necessary to consult opinions of the Ministry of Education and the planning on location in the locality. - The registered capital of USD 10,000 or more. - The registered capital of USD 1,000,000 or more. FLEXLINK, ZERO TO ONE, FONTIS, SUZUKA, SDGI, SEA VENTURE, SIFT, V2U, RHODES, TNS GLOBAL, TELESCOPE, HSE, SUBNET, UBTEC, CODEWORKS, LIBERO .....and more 16800 business from 68 national. Setting up foreign business in Vietnam. i want setup a company vn ? Dear Sir/Madam, We are a company which is currently considering the possibility of setting up business in Vietnam and would like to talk to you to understand more of the subject and the services that you will able to offer. If it is possible, I would like to visit you at your Ho Chi Minh office on the 18th of April around 3pm for discussion, pls let me know whether that is OK. If I come to Vietnam on a business visa and wish you to help me establish a company (LLC)?, what would it cost? I am a British national. It IS possible to have 100% foreign owned business. My friend DOES have a company that is 100% foreign owned. He didn't face any troubles AT ALL. It took nearly 1 month to finish legal process. He got certificate of investment, business licence, tax code, company seals, ..., ..., ..., everything. And the lawyer charged lesser than the prices mentioned above. You can call me, or meet me to talk about this in detail, i can introduce you to that Vietnamese lawyer also. He'll take care of ALL kinds of charges and fees on his own, you don't need to worry or talk to the officers about this. Contact me at rahul_n_rohit@yahoo.co.in. Best wishes for your new business. Don't worry at all. The government and laws are much friendlier after Vietnam joined WTO. I'd have to echo ChrisJac here. It IS possible to set up a 100% foreign owned company, but it is not easy or straight forward at times. For some sectors it is much easier than others. There are certainly some businesses for which NickinNam's specific advice and general tenor of advice is accurate, but its not a fundamental legal impossibility as his post suggests. Dear Gilad, It is possible to establish a 100% foreign owned business here in Vietnam. It is a long and difficult process. Local law firms provide a service for setting it up for you. Last time I checked with a local law firm the fee was appr.$1500 to set the business up. It'll be much cheaper if you can do it by yourself. Cheaper and easier way for you would be to ex. set up a limited company with a Vietnamese director and you would be the managing director. It's cheap to set up even with a law firm (around 2 million VND). Good luck! Questions regarding opening a business in Vietnam ? I need advice/info regarding forms of ownership of a small business in Vietnam. 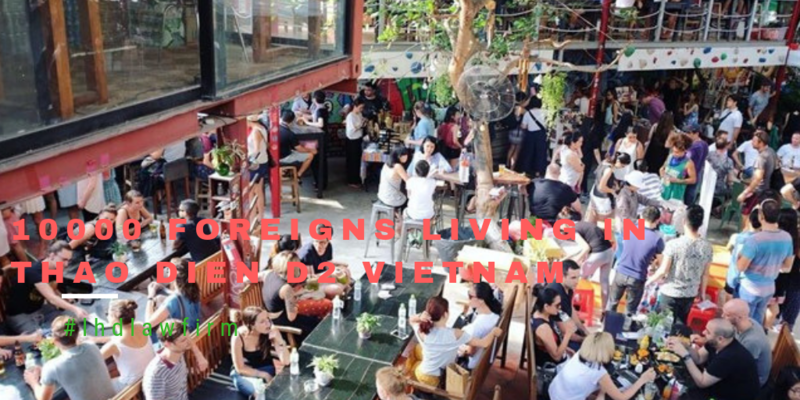 I have been looking into this for some time now and it seems that all so called "foreign owned" bars/restaurants/tour-agencies are actually registered under the name of the Vietnamese spouse or a Vietnamese partner of the foreigner. 1. Can such a business be 100% foreign owned? 2. What are the actual costs of registering a 100% foreign owned business (real world costs including "unofficial costs") and how long does it take? 3. Are there any restrictions on the type of businesses that could be 100% foreign owned? 4. What about police and general corruption issues? 5. Tax issues? Please answer only if you have actual knowledge and/or experience, especially if you own one yourself. Thanks. Please provide the process and fees for a foreign company set up in HCMC. Please also advise on visa and work permit (application procedure and fees). Hello We are interested in setting up business in Vietnam. We are a playground equipment distributor for Asia and we are incorporated in Singapore in 1998. We sell and install playgrounds in Singapore and Asia. We are mulling over setting up a rep office, LLC or a sole proprietorship in Vietnam. Appreciate if you can kindly advise on this as well as let us know what documents are required for registration. We are planning to make a trip to HCM end of this month. It would be helpful if we could visit your office for consultation. I am interested in the above. I will be in HCMC on the 25-26 May. Is it possible to meet us? I want to find out more about the process and cost. Please reply. please let me know what is the capital amount required for 100% foreign own company in Vietnam? Hello friends, I am here to share some important information about how I got a loan from an genuine international funding organization called KIVA a week ago. Actually, I never believed that I could get a loan from any online or internet lender because I always thought they were all scams. But the story changed two weeks ago when a friend told me how she got a business loan from them. At first I find it hard to believe, but I told myself I have to take the risk and see what will happen and I signed up for an loan of $74,000 USD to boost my investment. To my greatest surprise, my loan was approved and I received a loan within a week. One thing I like about them is that all their processes are very simple and clear. No hidden costs. No guarantee was required even with bad credit score. No elaborate paper work. Too good to be true you might say. Yes i had also said that before i got my loan. 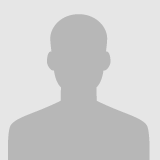 So, I want to use this opportunity to advice anyone looking for a genuine place to get a loan to contact their admin immediately via email at (contactcenter281@gmail.com) Please share this information so that others can find out about KIVA loan organization and get a loan from them too. dear sir, I would like to know more about investing in Vietnam, currently I am looking to shift my diecasting production into Vietnam,, but I do not know how much capital is required for 100%foreign own company in Vietnam?? so could you please gives me more info thanks. Dear Sir, I wish to Setup company in Viet Nam: Either 100% foreign investment company setup,or joint venture company setup In Hanoi HCM　city. please help us. According the Vietnam Law on Enterprises, there are four common types of companies: Private enterprise is an enterprise owned by an individual who is liable for all of its operations with his/her entire property; Partnership is an enterprise in which (i) there are at least two partners who are co-owners of the company, jointly conduct business under one common name; in addition to general partners, there may also be limited partners; (ii) general partners to a partnership must be individuals who are liable for all obligations of the partnership with his/her own entire property; (iii) Limited partners shall be liable for debts of the partnership only to the extent of their capital contribution to the partnership; Joint stock company is an enterprise where (i) Its charter capital is divided into equal portions known as shares; (ii) Shareholders may be organizations and/or individuals; the minimum number of shareholders shall be three and shall not be restricted to any particular maximum number; (iii) Its shareholders shall be liable for debts and other property liabilities of such enterprise within the limit of the value of their capital contribution to the enterprise; (iv) Shareholders shall be entitled to freely transfer their shares according to the provisions of law; Limited liability company (multi-member limited liability company and single-member limited liability company). A one-member limited liability company is an enterprise which is owned by one organization or individual (hereinafter referred to as the company owner); the company owner is liable for debts and other property liabilities of the company within the charter capital of the company. A limited liability company is an enterprise of which: (i) Members may be organizations and/or individuals; the total number of members shall not exceed fifty; (ii) Members are responsible for debts and other property liabilities of the enterprise within the amount of capital that they have committed to contribute to the enterprise; (iii) Capital shares of the members may only be transferred in accordance with the provisions of law. I stared the process to open a LLC, Michel Delafon BB LLC. Activities: - Marketing Consultingin Asia and Vietnam. - Real Estate Investments. Hi all, I am trying to open a small restaurant/cafe/bar in saigon. There will be live music/food/alcohol and coffee. I've actually been looking into this for quite some time now. I realized that pretty much all the so called " foreign-owned" bars/cafes/restaurants here in saigon are actually registered under the name of the vietnamese wives/partners or a vietnamese friend of the foreigner which for me is unlikely to be happening since i am female and i dont see myself ending up with any vietnamese man anytime soon nor that i have any friends that i can really trust yet... Also noise-issue seems to be one of the biggest problem that many bars/cafes face- esp since i am trying to have bands play in my place and etc.. So, I've listed out some questions and hopefully I will get some answers here. Thanks in advance for taking the time. 1. Can such a business be 100% foreign owned? 2. What other licenses do I need? How much would each indivisual license cost? ie. liquor licenses and etc.. 3. I was told that liquor license is really difficult to get.. but I want to know just how difficult it is and how much would it cost? 4. Approximately,how much would the start-up cost be? 5. I also read somewhere saying that I can pay a local lawyer to take care of all the procedures and pay after he succeed in doing so. I wonder if it's possible. Please answer if you have any knowledge and/or experience. Or if you know anyone who actually owns a business at the moment, would be much appreciated if you can get in touch with me. Thanks a lot. I am a Singapore citizen.I want to set up import and export company in Vietnam. I am a foreigners and like to invest in residential properties in HCMC. I know as a foreign investor, there is legal constraint. Can you help doing it legally ? The article is good and readable to everyone.This gives valuable information for us.In future I always cmmenting in your article. Vietnam Company Incorporation Services Since 2007, Vietnam has opened its doors to foreign investment, allowing foreigners to set up offshore companies in the country. That being said, as an investor or head of a multinational organization, you should be aware of the regulations, licensing hurdles, and bureaucratic challenges you may likely face when incorporating in Vietnam. Here we have outlined the basic steps to setting up a business in Vietnam and how 3E Accounting helps you with fast, responsive Vietnam company formation services. Business Incorporation in Vietnam Limited Liability Company – A 100% foreign owned LLC can be set up in Vietnam with just 1 shareholder, regardless of nationality and whether or not he/she is a Vietnam resident. The shareholder will then appoint a Director who will have to travel to Vietnam and get a work permit. Joint Venture – Also known as partially foreign owned LLC, this is the most common type of offshore company set up in Vietnam. The company is incorporated by at least 1 Vietnamese shareholder and 1 foreign investor. The licensing delays are however, common in this structure. Public Limited Company – A JSC is when three or more shareholders of any nationality, regardless of whether they are Vietnam residents, form a company. If the company appoints a foreign director, who will also be the legal representative, he/she will have to travel to Vietnam to get the work permit. Branch Office – Foreign companies operating for at least 5 years can also set up branch offices in the country. A resident representative has to be pointed along with meeting other obligations. This option is not recommended as it exposes the investor to unlimited liability. Representative Office – A representative office can also be opened in Vietnam for businesses that have been operating abroad for one year. Despite that the representative offices are 100% foreign owned, the company cannot engage in commercial or production related activities. Procedure Once you have decided on the structure, here are the steps to company incorporation in Vietnam: Company name registration, followed by obtaining the registration certificate and the tax registration certificate. Making the company seal. Registration of seal with the Police Department. Opening a bank account with a local bank. Buying VAT invoices. Registration with the Vietnam General Confederation of Labor. Publishing the registration details on National Business Registration Portal. Paying for the business license tax. Registration with local labor office. Registering employees with Social Insurance Fund. I would also like to partnering with local vietnamese if interested in opening small restaurant or small office for tourist related service in NHA trang or in other attractive city. if some one have an interest please mail me. kspuri@hotmail.com. Hello everyone. I'm a young guy from Canada seeing if there are any business/admin opportunities in Vietnam. Email me: stoddard.spencer@gmail.com if you wish. Hello LHD I want setup a new business vietnam with 2 partners, Sub: trade and software Pls send us the Quo ? I want to invest in VIETNAM, can you please answer the following question for Vientnam. Tell us which country you decided to invest in and why? What type of business are you investing in? Why? What are the potential challenges you see in investing in this country with this investor? Will you invest in a woman-owned business? Why or why not? Will you consider loaning to a group of people? How quickly do you expect to be repaid? Are there groups in your country of choice that are actively discriminated against today? Are there certain regions of the country where life is more difficult than others? Is this country experiencing any political or social unrest? How will the unrest impact your decisions? How will the project that the entrepreneur is proposing benefit their community? What is the best way to legally establish presence in Vietnam for a foreign start-up? 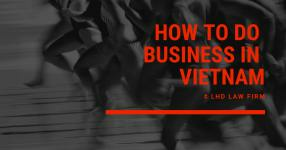 How many steps are there to doing business in Vietnam for a foreign investor? Do I need a lawyer to set up a wholly foreign-owned LLC in Vietnam? Can I go through the motions myself? How to start a small business in Vietnam? Which entity type is your best fit and how to simply overcome risks shadowing small businesses? shahid saeed : Hi dear (1) Can u guide me how can i start or set up a small super market in Ho Chi Minh vietnam for this me need any local owner ship or not.. (2) what kind paper process for registration it. (3) what is conditions for hiring employees (4) what is system of taxe and fees Whatever you try to do, the Vietnamese government wraps you up on a prison made of paper and forms. You will require a VN partner, hopefully someone who is happy to get a couple of hundred dollars a year for being your company's president. This will make it easier to avoid permit hassles and leases, etc. You need a lawyer to handle the complications - I am not dumb and have registered 4 companies and still use a lawyer. They know who to pay the bribes to. You can pay cash each day to employees or, do it properly and pay tax, health benefits, etc. The government will calculate how much tax you owe them. You will need a VAT account as some suppliers only sell at wholesale discount if you have a VAT number. Dear Sir/Madam, We want to set up a company in Vietnam. Our proposed Business is Money exchange and transmission(Online business) and our ultimate purpose is to get the licence. Services will be needed are:Company formation Licence application Bank account opening Please kindly advise how we start the process. Looking forward to your reply. foreigner can own property in vn. however, foreigner can buy apartment, not house, bungalow,mansion or land. and it limit to the fist number. yes, you can buy is the answer and the number of property you can own is 1. you will have to reside in vn for 10 years, own a permanent card then you can buy. and you cant mortgage it too. government is consider to open the market for foreigner to own house but parliament still consider. not sure when they will implement it. commit not to claim the land own by your wife? that's sound strang even though it is logical. you foreigner cant own land.maybe that's the reason that they ask you to sign the commitment. however, it is just a commitment. given the case that you divorce, court will decide the joinly assets of husband and wife or any assets that establish after the wedding. well, in that case, the land will half own by you.eventhough you commit that you wont claim on the land. Dear Sir/Madam, Hi, Its Shirin from Iran Maxgroupint . Actually we want to set up a virtual office in Ho Chi Minh city . For this issue, we need to have below info: 1- Having independent and reliable information reports about Ho Chi Minh city firms 2- Reduce credit risk and improve knowledge about business in Ho Chi Minh city 3- Propose valuable information to make the right business decision 4- Reduce commercial and financial risk 5- Monitoring and benchmark market competitors in Ho Chi Minh city and find commercial insight, financial data, shareholders and directors,... 6- Publishing job vacancy on your local newspapers in order to employ a female staff, she should be known English well and has experience in field of business 7- Getting full authorization and banking from her 8- Not paying custom duty 9- Paying less Tax Fee 10- Consultancy on taxation and peculiarities of doing business in Ho Chi Minh city; 11- Consultancy on taxation of dividends of foreign participants (founders); Set up a company AND Working permit · Drafting and notarizing the documents, · Company name approval, · Payment of the registration fee, · Registering in the executive office; · Registering in the taxation office and social insurance offices, · Opening a bank account. Licensing · Consultation on the questions of licensing; · Preparation of all necessary documents and their assignment into a correspondent state structure; · Obtaining a license and handling it to a client. Please kindly let us have your comment and advise . Awaiting for your kind and soonest reply. Dear Lawyer, I came across your services on Quora. I'm from Hong Kong and planning to start a business in Vietnam, and would need a lawyer to help setting up the business. It will be a food stall selling Chinese freshly made rice rolls. Could you answer some questions for me? : a) can a foreigner owns the business 100%? b) can I set up sole proprietorship? c) what will be the minimum capital requirement for setting up a business? d) your fee for the legal services Thank you! Information and costs to setup a trading company in Vietnam Good afternoon. I am looking to setup a small trading company in Vietnam to import fruits from Thaliand, Malaysia, Indonesia and Australia to sell them in Vietnam. I want to do wholesale and retail business. I have been looking on the internet for information on this and confused about the exact process. Can you please provide me all the relevant information on how I can setup my company in Vietnam including... 1. Information on registration process and business license 2. Costs to setup this kind of company (one member LLC or 2 member joint stock company) 3. Documents required for each type 4. Time to get the company registered 5. How much startup capital I need to invest 6. If you can provide an address in HCMC to register my company and the cost (since I don't have any address) 7. Information on taxes (GST or VAT, corporate and private income tax) 8. Costs to prepare quarterly or yearly tax statement (if required) 9. Accounting services (if you can provide and approximate monthly cost) 10. If you provide information on cost on office space to setup an office (50 sq meters) 11. Information on additional food licenses and costs for these. 12. Any additional services which you think I may require to setup this company I look forward to hearing from you. My name is Andy Vu, Associate at CDI-Vietnam. We are the Vietnamese branch of CDI, a leading Japanese strategy consultant. One of our clients is an Indian company in the Fintech space looking to enter into the Vietnam market. While their products and business models are not to be disclosed at this time, we are looking to answer questions such as the following: 1. What are the legal restrictions that apply for their business? Can they set up a 100% subsidiary or they must find a local partner and if so, what is the ownership percentage? What are all of the requirements for their business setup? For example: minimum capital, years of experience, land, labor, etc. What are the business licenses they must acquire? What business domains will they be regulated under? What are the specific legal documents that apply? 2. What are the overall setup steps and estimated timeline If there are multiple scenarios due to sub-businesses requiring sub-licenses, we would like to incorporate all of them into the overall schedule. Here are some other requirements of this project: Timeline: We would expect the final products to be delivered in a few weeks to a month, starting sometime in October Output format: Bullet points with key messages, with sub-messages and appendixes to cover the details (we will provide the format). No verbal presentation is required. Language of the delivered product: English (with Vietnamese original legal terms and document names for confirmation) If you are interested in this project, please share with us: A brief overview of your company A list of projects you have done to do with either a. market entry regulations or b. financial and technology fields Please mention: date, length, and details of project Your billing system for this project (Do you bill per man-hour, per page, etc.?) What is your estimated range of cost for this kind of project? Hello, I have the same question whether a foreigner can apply a 100% foreign-owned company in Hochiminh, if you already have that experience, hope you can help me. Thank you so much. 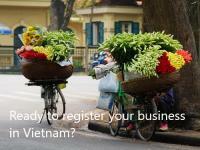 Can foreigners register a business in Vietnam ? Hi everyone I am foreigner and had married a Vietnamese woman. I had built a business under her name as the Vietnam Law at that time do not allow foreigners to register a business. My wife is now filing for a divorce through the court here and wants take the business, properties and children. I am now exploring the possibility of starting a business again but this time under my own name rather than under anyone else's name. I know that the Vietnam Law has changed but not sure if foreigner can now register a business. The information from the government websites are not clear and address mainly to Viet Kieus. They do not address specifically about foreigners registering a business. Any recommendation of a lawyer on this aspect would also be very helpful. Question: (a foreign investor) How many conditional investment sectors in Vietnamese law? Answer: Under article 29 of the Investment Law, sectors in which investment is subject to conditions shall comprise: (a) Sectors impacting on national defense and security, social order and safety; (b) Banking and finance sector; (c) Sectors impacting on public health; (d) Culture, information, the press and publishing; (dd) Entertainment services; (e) Real estate business; (g) Survey, prospecting, exploration and mining of natural resources; the ecological environment; (h) Development of education and training; (i) A number of other sectors in accordance with law. Applicable to foreign investors, in addition to the sectors stipulated in clause 1 of this article, the sectors in which investment is subject to conditions shall comprise investment sectors in accordance with the schedule for implementation of international undertakings in international treaties of which the Socialist Republic of Việt Nam is a member. Where an enterprise with foreign owned capital invested in a sector in which investment was unconditional but during the course of the investment activity the list of sectors in which investment is conditional was amended with the result that the relevant sector was included, the investor shall be permitted to continue its investment activity in that sector. The same investment conditions which are applicable to domestic investors shall be applied to foreign investors where Vietnamese investors hold more than 51% of the charter capital of an enterprise. Based on the requirements for socio-economic development in each period and consistent with the undertakings in international treaties of which the Socialist Republic of Việt Nam is a member, the Government shall regulate the list of investments subject to conditions, the conditions applicable to the establishment of economic organizations, the forms of investment, and opening the market in a number of sectors as applicable to foreign investors./. Hi team, We are an accounting firm based in Melbourne, Australia. 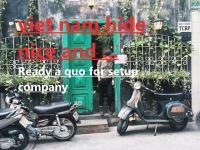 We are setting up a company in Vietnam operating as an out-sourcing company for our firm here in Melbourne. I would like to get an advice on the right structure, the processes, employment contract and related obligations for a company operates in VN. I will be in Hue on the 15/4 to the 29/4 to meet the staffs that we hired over the past few months, as well to set up an office. Can I please speak to someone this week to understand the paperworks required and cost involved? I would like to prepare them before meeting you to finalise the application. To whom it may concern, I was introduced to your company from my close friend in Hanoi. https://en.luathongduc.com/ We are a Korean-owned company in Japan, We want to set up a company in Hanoi. However, Vietnam is different from Japan and Korea. Therefore, After understanding the purpose of our company, we are looking for a company that can properly support the establishment of our company in Hanoi. For example, In order to create the articles of incorporation of the company, etc. It is necessary to understand the purpose of our company and to make a company's articles of incorporation （１） Is your company able to provide such “proper support for establishing a company”? How much will it cost? （２） in addition, At your company What kind of support is available after the company is established and how much will each cost? Please tell me in addition. （３） Do you have employees who can speak Japanese or Korean? We would be glad if there were employees who can speak Japanese or Korean. I look forward to hearing from you. Testimony of a serious loan acquired, thank you very much Mr Roland Johnson for your loan assistance of 45.000 euros that you made me. I will talk about your services to those around me who need a loan or financing. I am happy with the loan you have granted me Do not hesitate,if you need a loan and a real legit loan lender so just kindly contact him now and get your loan via:: Email:Mrrolandjohnson62@gmail.com Whatsapp:( 2349053285762 Mr Roland Johnson Thank you . Setting up LLC Vietnam as foreign National Hello Hong My name is salman ali and I’m residing in Lahore Pakistan. I’ve visted Vietnam quite a few times and was interested in setting up a LLC. My primary business is furniture manufacturing in Pakistan and I was wondering if I can register a company in Vietnam and open up a small showroom. Can you please give me details on how to setup a LLC in Vietnam what’s the minimum capital requirement and how to go about it. We are three partners from Pakistan and two of us will shift to Vietnam to run the company. I also need to know the residence permit details, will I be able to live there after registering. Dear Sirs, Hope this email finds you well. I’m writing you on behalf of our company Prifinance.com We are providing services in the field of company incorporation in different countries, bank account opening assistance, business licensing, as well as business and investment immigration. Currently we are looking for intermediaries who may assist us with company incorporation in Vietnam. We are interested mostly in foreign-owned LLC. Please kindly confirm whether there is any minimum authorized share capital to be paid-up, whether a business license is required, resident director or secretary? Besides, please confirm whether banks in Vietnam accept account opening for non-residents? Any additional information that you consider useful will be highly appreciated. If possible, please send us your offer for company incorporation with partner prices, and kindly confirm the timeframe for incorporation. Thank you in advance.